This Blue Dodge Hellcat Was Stolen & They Got Away! - Muscle Cars Zone! This Blue Dodge Hellcat Was Stolen & They Got Away! We live in a very difficult time where car thieves are lurking just behind the corner and waiting for their next victim. Hundreds and hundreds of cars are stolen of daily basis, but the most frustrating fact about it is that not all of the thieves are being caught by the police. Hereby, we take a look at yet another video in which we see what has happened to this mighty stolen car. 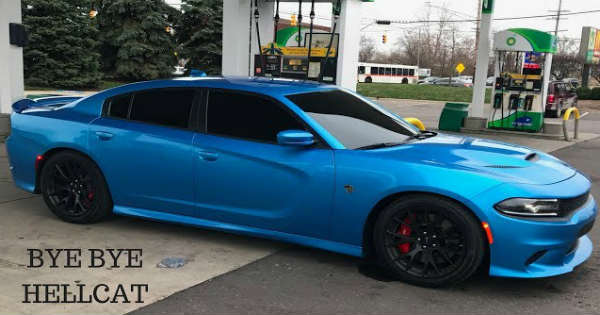 One thing is for sure, if you happen to own an extremely powerful car like this blue Dodge Hellcat, take great care of it, mount cameras around it or simply park it somewhere safe hence it is these types of cars that the thieves are after for. Namely, this guy`s brother owned a B5 Blue Hellcat and the car meant everything to him. Then, one morning when he woke up, his car was simply gone and there was only the broken window at the ground. Moreover, there were safety cameras mounted everywhere and the thieves could have been easily seen. But, the police was unable to do anything and sometime after, the car was stripped down to bare metal. The man then found it at the parking lot where all of the stolen cars end up, but unfortunately enough, this B5 blue Dodge Hellcat was in horrible condition. One thing is for sure, as soon as you notice something suspicious; make sure to call the police hence you do not want your vehicle to end up like this stolen car!